Welcome to our first party in February. Not sure what happened to January, but this just means we are getting closer to spring. I can't wait for everything to green back up outside. By this time I am tired of the gray and brown outside. I know a lot of you are tired of seeing white outside. We haven't had any of that so far. Now on with some features from last week. 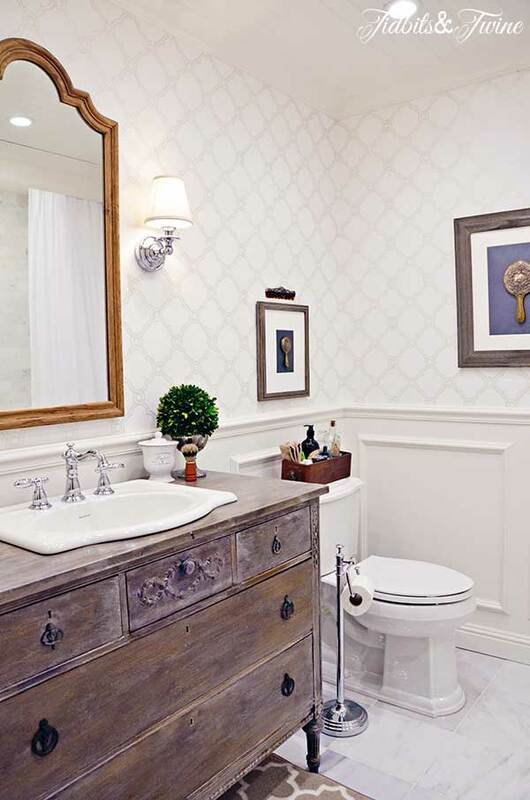 Beautiful bathroom transformation by Tidbits and Twine. The Everyday Living shared her friend's pretty and colorful guest room. 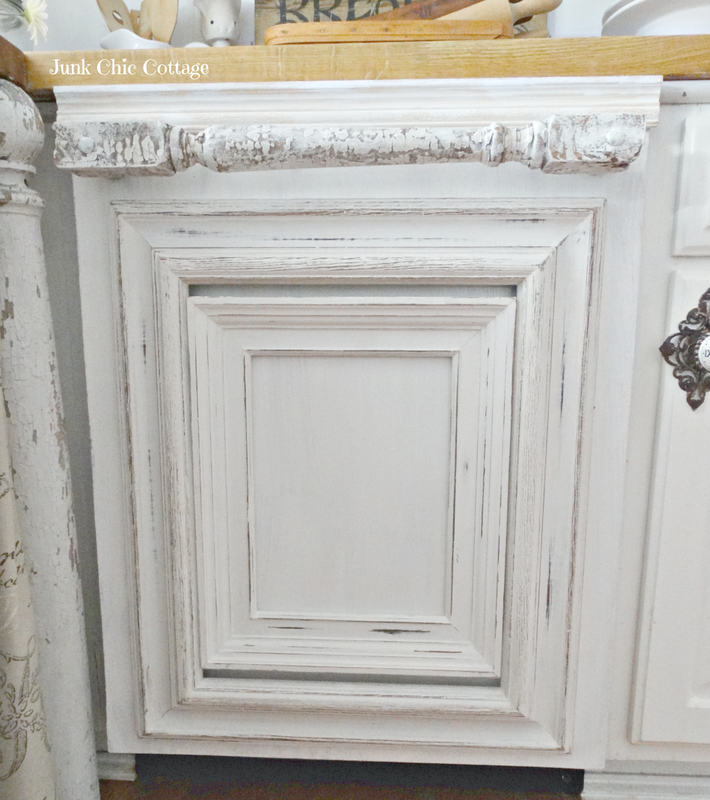 This is such a clever way to cover up an appliance by Junk Chic Cottage. Here is another fabulous faux brick project. This time a faux exposed chimney by Seeking Lavender Lane. 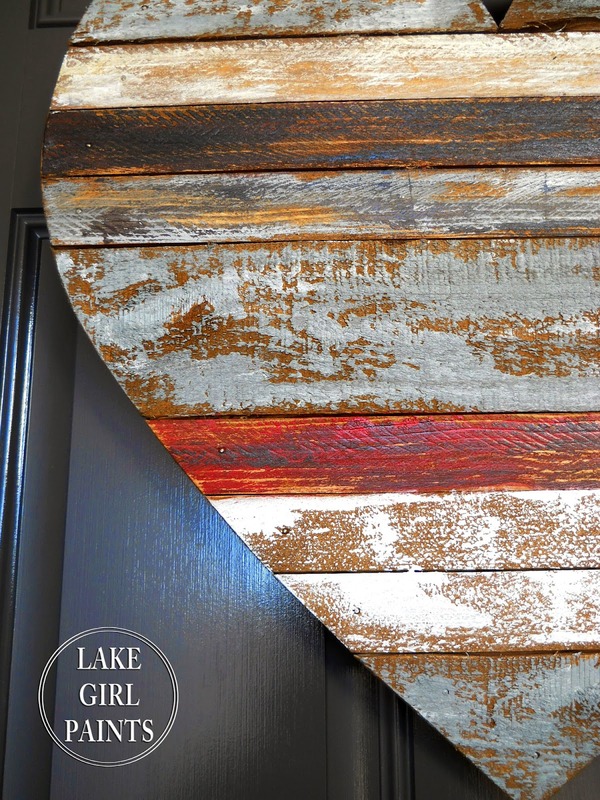 Lake Girl Paints shared how to make a wood scraps heart. 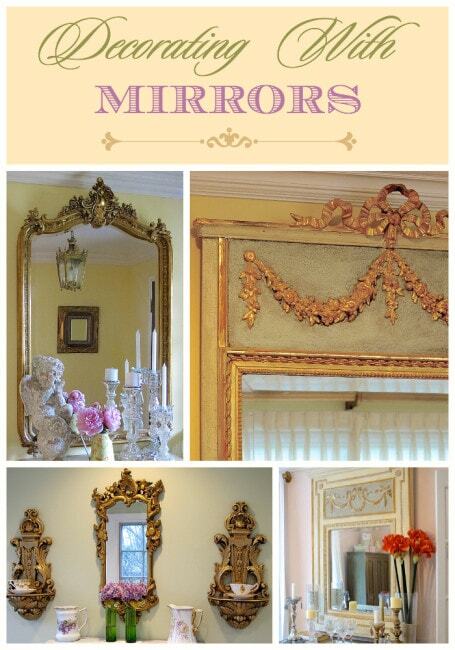 If you love beautiful mirrors check out these and more at Designthusiasm. Thanks to everyone who joined last week! Thanks for hosting Kim, we are supposed to get some of that white stuff tomorrow! I love the changes in your master Kim, the red is perfect. Thanks for hosting. that bathroom transformation is just amazing. thanks so much for having us over to party! Always great features! Thanks for hosting, Kim! Thanks for hosting another pretty party, Kim! Hope it's a great week! Kris's dishwasher makeover is brilliant, and I love the bathroom transformation. Thanks for the party, Kim. Great features from that gorgeous bathroom makeover to Kris and her hubby's incredible job on the dishwasher! Thanks for hosting! Have a great evening! Beautiful features! Thank you so much for hosting--have a great week. And may spring arrive soon in your neck of the woods! Great changes Kim and thanks for the party! Hi Kim! Thank you so much for your wonderful link party! I look forward to it each week. I adore your "new" master bedroom. Kim, I always enjoy your party and appreciate you hosting. Great features Kim....thanks for hosting the party!!!! I really appreciate your party and the feature. Thank you for introducing me to Tidbits & Twine. Love her new bathroom. I wonder if I will live long enough to try all that I see here each week. Thanks so much for hosting Kim!! LOVE the red in your room too btw!! Gorgeous!! I have peeks of green coming up in the outside planters. Fingers crossed for NO Southern snow. thank you for hosting. Wow, Kim, I was just doing here to post what amazing features you have this week and then I scrolled down and saw I was one of them! Thanks so much for including me in such a great grouping!! Thanks as always for hosting. Great features this week! Thanks for hosting Kim! Thank you so much for the party Kim. I'm late to the party. Again! Thanks so much for hosting us all!!! Kim, Thank you for the feature! What an honor! Always enjoy your party! 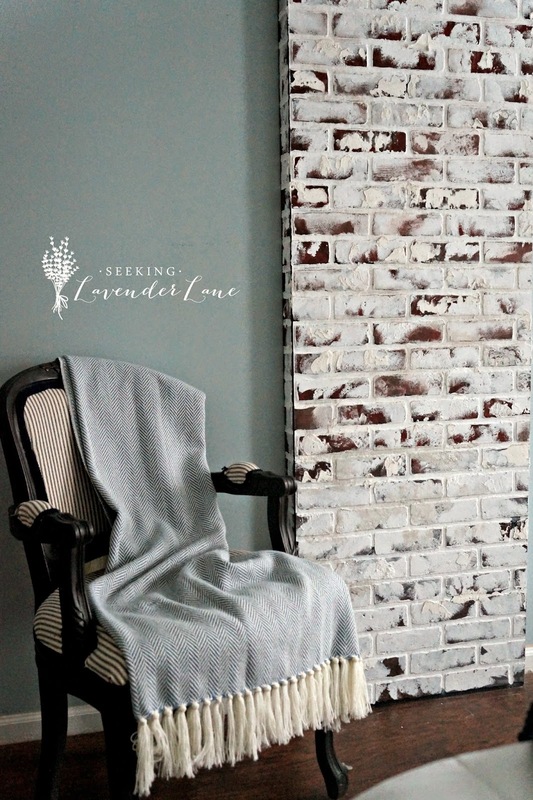 Thanks so much for Featuring my Faux Brick Chimney! Thanks for the feature Kim. That dishwasher cover up was easy peasy to do. Thanks for always being the hostess with the mostess!!!! Have a great rest of the week. Such a pretty bedroom!! Thanks for hosting, Kim! I'm excited for spring, too! Thank you for hosting your party, Kim. I am definitely looking forward to spring! Thanks for hosting Kim! Dear Kim, This is a wonderful party!! Thank you for being such a gracious hostess. Hi Kim. Thanks so much for hosting! Hope your having a wonderful week! I have always been in love with your dinning room Kim, loved the WowNess you added to the cover of French Country magazine with that amazing China cabinet and setting. Every post is just so inspiring....your such a beautiful host.